products. Plus they find out they purchased something that is not correct for them. I want to keep this from happening. 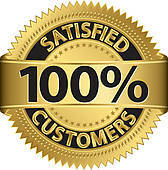 I want my customers to have an excellent experience. I feel protective. I guarantee it is worth it for you. Aside from the regular discount I have a bonus savings on Stem Factor, Rescue, Catalyst and Catalyst AC11. Log in and take advantage. You may also use the code save. Which Osmosis Skin Care Catalyst Should You Use? Osmosis Skin Care makes 3 Catalysts. All of them are excellent and very beneficial to the skin. The Catalyst family uses Zinc Finger Technolog to repair DNA damage and assist in the production of proteins and antioxidants within the cell. A combination of amino acids and key co-factors improve wound healing, lighten pigmentation, reduce visible capillaries, and stimulate collagen and elastin production through a revolutionary process. I have seen this first hand with my own skin. Sun damage that I had for years that would not go away is now gone. My next step was surgery to remove it, and Catalyst took it away with no signs of it returning. Catalyst Plus was next. It was created for people that could not tolerate Catalyst. It is better on sensitive skin. Catalyst AC 11 is the last Catalyst brought to the Osmosis line. It is the strongest and most effective Catalyst. It contains higher levels of zinc finger technology. It has shown to increase DNA Repair by 33%. It is also soothing by using Aloe, Zinc and Vitamin E.
To purchase these products, please go to my website http://www.karinherzog-jmilan.com Log in first and you will receive an automatic discount on all Osmosis products. Osmosis Skin Care has changed their protocol for treating acne. Before they just suggested their Clarify and Clear. Now they have a whole new philosophy. I have it on my website for my clients to read. Osmosis Acne Protocol. You may see improvement in breakouts, redness, and overall a more healthy skin. Please remember not to pick at your skin as you may cause scarring. Let your products do the work for you. Please go to my website to purchase. Be sure to log in so you get the lowest price possible. Discount is see in shopping cart after you register/log in. A line of face serums has been awarded a U.S. patent for its ability to prevent skin cancer and treat scars and lesions by repairing DNA. 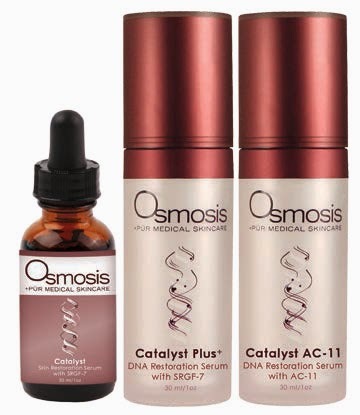 Osmosis Pur Medical Skincare’s Catalyst, Catalyst Plus, and Catalyst AC-11 formulas received the patent for a formula which use zinc and amino acids to help treat skin. The products, which are priced between $90 and $100, ‘improve scarring, skin tags, actinic keratosis and other skin disturbances that relate to DNA damage,’ according to a press release. It explains that the serums repair damaged DNA by speeding up the production of proteins and antioxidants, which rejuvenate skin cells from inside-out. Osmosis claims that its formulas can also lighten hyperpigmentation, reduce visible capillaries, and stimulate collagen production. You may find these products on my website http://www.karinherzog-jmilan.com Register and Log in and save on each product. Here is an idea of a skin protocol you may do with products from Osmosis Skin Care. It is geared towards the professionals. It can gives you ideas about what to do with the products. I sell all of these products on my website and if you log in, you will receive extra savings for my clients only. Clear helps the products to penetrate. Treatment Serums would be Relieve, Correct, Calm or Renew. 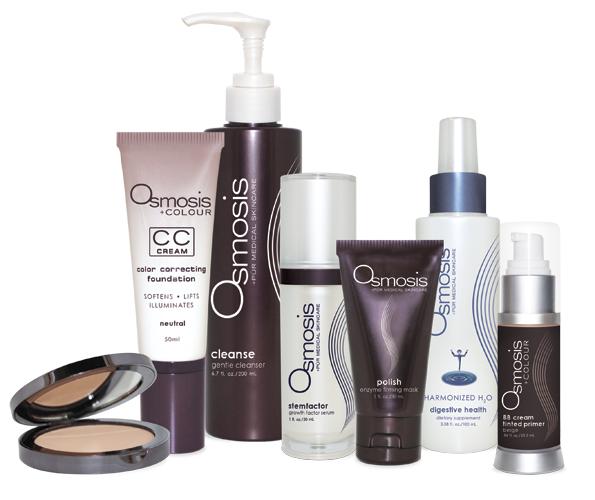 I receive so many emails or calls asking me how to use the Osmosis Skin Care Catalyst products. They are Vitamin C and Amino Acids, which when combined can have a dark color to them. Vitamin C oxidizes. This does not in any way take away from the effectiveness of the products. The color is dark amber color and it is perfect when you receive it that way. The Catalyst products are amazing. They are healing, anti-aging, help restore the skin. Perfect for both anti-aging and acneic skin. They do make a difference that you and other people will notice about you. Now for how to use them. Apply to the skin. You would have a better response by adding one of the Osmosis treatment serums. Calm, Clarify, Correct or Renew. You want to make sure they are massaged into the skin. Now spray the face with Clear, which is a harmonized water. Clear will help the products penetrate the skin better. Plus Clear is very healing and again perfect for anti-aging and acne. It is a key product. You then want to massage the skin and be sure it has soaked into the skin properly. That is it. Then if you choose to add Quench or one of your favorite moisturizers, go ahead.